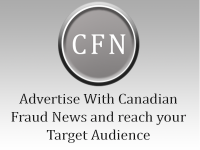 April 5, 2019 (Courtesy of the Canadian Press) – A woman from Welland, Ont., is facing new charges over fraudulent use of personal information from social media. Police allege two women used information from friends’ Facebook pages to create false identity documents and set up fraudulent bank accounts. They now say they’ve uncovered another 69 alleged victims and there may be more. A 25-year-old woman has been charged with 69 counts of identity theft and one of breaching a court order. The woman was previously charged with fraud over $5,000, identity fraud, and possession of identity documents. A second 27-year-old woman was charged with one count of possession of identity documents.